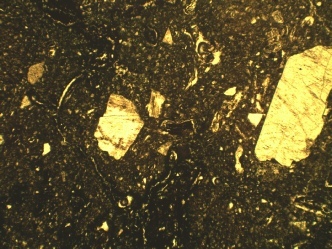 Acquisition of the petrographic information from thin sections. Combining descriptive and numerical data, as appropriate to the quality of the material and the depth of analysis required. Combining compositional and textural data, and analysing either together or separately. Cataloguing, managing, sharing and archiving all relevant information. Analysing the data, graphically and via ad hoc and structured searches of the database. Collecting images and storing the image with its relationship to the numerical and descriptive data. Analysing images concurrently with the data, providing considerably more insight than can be gleaned from either separately. Reporting, in pre-formed reports and as numerical data for use in Excel or more detailed statistical analysis packages. 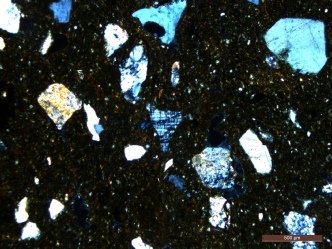 Thin section ceramic petrography is a versatile research tool that can be applied to the compositional characterisation of archaeological pottery, building materials and plaster-based artefacts, as well as the interpretation of their raw materials and production technology (e.g. Quinn 2013; Reedy 2008). 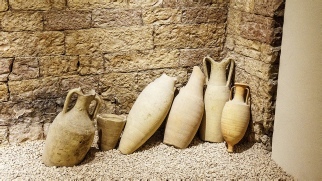 Quantitative data collection and analysis plays an important role in the classification of ancient and historic ceramic specimens and the determination of their production location or provenance. It is also key to the reconstruction of ceramic technology, including paste preparation and vessel manufacture.